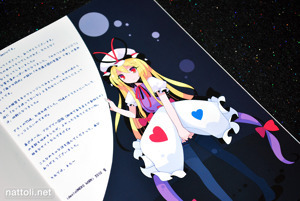 Carnival Fantasy is a B5 sized, staple-bound book printed on smooth magazine-like pages with a glossy cover. 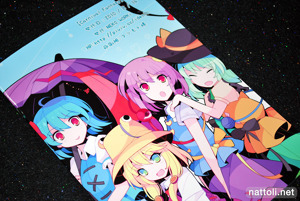 It's 20-pages in total and full color---the covers aren't counted in the page numbering printed in the book itself. 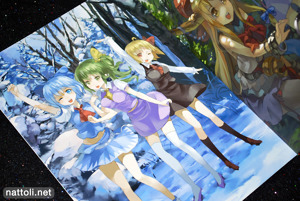 The cover illustration is new to the book and features a conga line of the Touhou girls and it's not repeated inside. 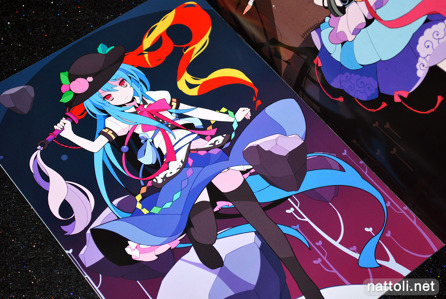 My favorites in Carnival Fantasy were the solo illustrations for Hinanawi Tenshi and Ibuiki Suika. Ideolo really brought out the color in these two, and included a lot of the costume details that tend to get overlooked. 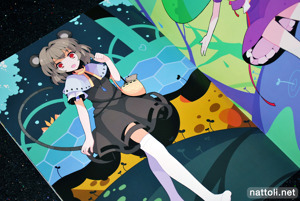 Many of the characters also had color-themed backgrounds that matched their clothing. In some cases it worked out quite well, but in others it was overdone. 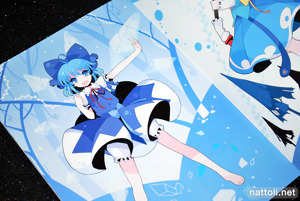 In particular, Cirno and Komeiji Satori's portraits would have benefitted from a little more color contrast in the backgrounds. 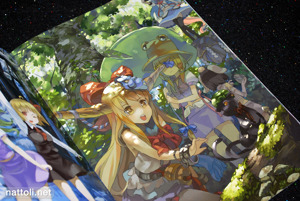 There are actually only a couple of two-page spread illustrations aside from the cover, and both are group pictures. 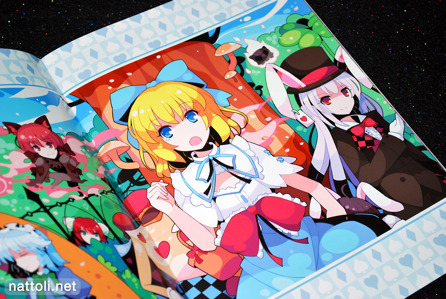 The illustration above features the Touhou girls as characters from Alice in Wonderland. 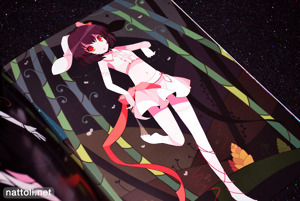 Guest artist 77gl finishes off the book with two Touhou illustrations. 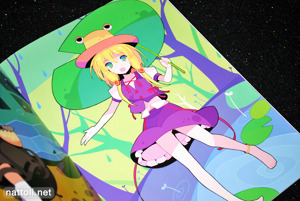 They're both excellent, with soft lighting and detailed nature themed backgrounds. 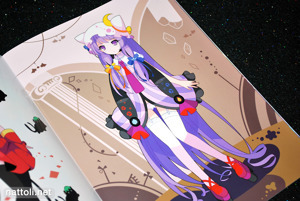 Ideolo's Carnival Fantasy is easily one of my favorite recent Touhou purchases. 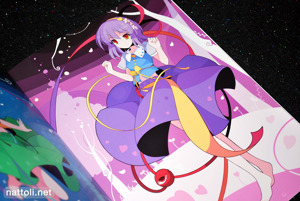 Even if it's not a particularly original approach, these illustrations really stand out from the plethora of Touhou art works out there. Nice touch with 77gl using Ideolo's costuming in those spreads for consistency. 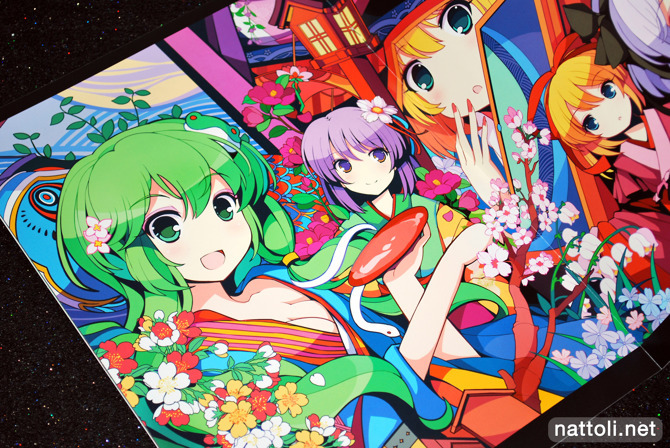 I love the vibrant colors, more artists should do this kind of art!! 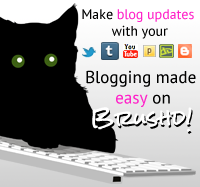 So many bright colors, it's so fun to look at! I love this art.